Launched in 2001, Agriturismo.it is the leading portal for farm and country holidays in Italy. Agriturismo.it is the reference point for tourists looking for a farm and for people who manage them. We believe that a farm is much more than just accommodation in the green, for this reason we are the only site that promotes only real farmhouses authorized, not b & b or holiday homes in the green. We know that farmhouses are so special and different from each other that sometimes it can be difficult, from behind a screen, to understand what to expect. For this reason we offer accurate descriptions and useful tools to easily find the most suitable farm for everyone. In these 18 years we have also learned that managing a farm holiday is not an easy task, and requires many different skills. 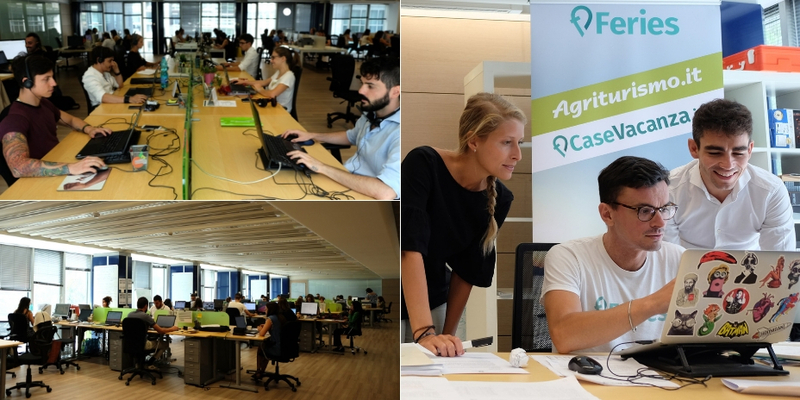 For this reason, our support for Italian agritourisms is not limited to promotion: as our affiliates are well aware, the staff of Agriturismo.it assists companies in the online promotion, with an excellent service of assistance and training projects for operators in the sector. Agriturismo.it is part of the Feries family, the Italian leader in online extra-hotel accommodation that also manages CaseVacanza.it. At Feries we love Italy, and we think that discovering it by staying outside the usual hotels is the best way to get to know it in its authenticity. We are passionate about technology, tourism and our country. For this reason, we have been working for 15 years to facilitate, through technology, the meeting and booking within the Italian non-hotel tourism sector. Speed of thought and action has always been one of our goals and strengths. "If you've got everything under control, maybe you're going too slow. / If everything seems under control, you're just not going fast enough." We love simplicity. We seek to simplify and improve processes, procedures and activities. We deal with people openly and directly. More than form, results count. Work hard, play hard. We still have a startup spirit, and we believe that great results require great commitment and great fun. There's no better way to show our commitment to the company than to work hard and have fun. We believe that teamwork multiplies individual strengths. We expect everyone to actively participate in Feries, and we value the diversity of our human resources.